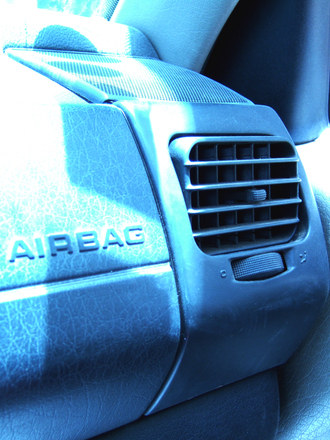 The problem is related to the software that controls airbag deployment in the front of the vehicle. The software issue caused the system to go into test mode when the vehicle was in motion as opposed to when it was first turned on and all of the system runs a test and diagnostic mode. While it is not exactly clear how this happens based upon reports, the computer may have be able to disengage the seat belt retention mechanism when the airbag was in test mode. The company was first made aware of the defect with the airbag testing system after a fatal crash that occurred in 2014. This accident involved a Chevy Silverado. The airbags did not deploy in this car accident. The company performed an investigation into what happened and then informed the company that manufactured the airbag deployment and testing software. Two years later, the company decided to recall over 4 million vehicles that could potentially have the same thing happen during a collision with more results. As our Boston products liability can explain, there are various things that determine whether a company is liable if their products causes a serious or fatal injury. One of the major questions is whether they were aware of a problem and did nothing to make the product safe or warn customers of the problem. In these cases, a personal injury lawyer will typically file what is know as a failure to warn of a known danger claim as part of their case in chief. If the company was not aware, but should have known about problem, this could result in a negligence claim for the manufacture of a defective product. In certain industries, the products will allow a plaintiff to file what is known a Chapter 93A claim for breach of the Massachusetts Consumer Protection Act. These claims can allow for special damages, in some cases, triple damages if certain elements are met. However, this is a case-by-case determination, as the facts of every situation are different, so you should speak with your products liability attorney about your actual situation involving an injury caused by a defective product. In the case of the GM recall, the company says it will notify all customers who have a vehicle with the defective airbag sensors, so the problem can be corrected as soon as possible. However, even though it took two years for the recall, industry insiders are saying this recall did not involve a failure to report a defective product like we saw with the defective ignition switches. In that case, the company had to pay over $2 billion in damages. The reason that situation ran into reporting requirements and this one didn’t has to do with the very complex federal requirements pertaining to federal notification regulations.